It’s an exciting time in your life when you’re preparing to welcome a new baby into the world. It’s a whole new experience when you’re a first-time parent, but what if you have a child or two already? This is another experience altogether. It’s important that while you’re preparing for a new baby that you remember to help your other child or children understand what’s going on. Welcoming another member of the family can be challenging when your little one (or ones) already like things the way they are. Here are five tips to help prepare a child for a new sibling. Your child may have lots of questions about the baby, so be ready to answer them. Keep the answers simple and phrase them in a way your child will hopefully understand. Be as honest as possible, but you don’t need to go into details. It’s not necessarily time for “the talk” just because your three-year-old asked where babies come from. Let your child know he or she can ask any questions, and you will do your best to answer. Children understand more than many adults give them credit for, so don’t underestimate explaining to your child just what to expect. You can talk about what happens when mommy goes to the hospital (and if your child will be staying with a friend or relative) and what will happen when the baby comes home. This is good to start well in advance so your child knows what’s coming before it actually happens. 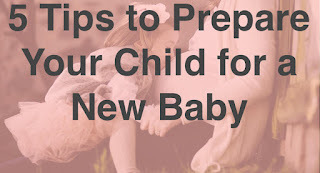 If you need to go shopping for baby clothes and other items or ready a nursery for your new little one, let your child help with the preparations. He or she can help pick some of the new clothes the baby will wear or assist (as well as he or she can) in setting up the new baby’s room. Your child might even feel a sense of pride in helping to get everything ready. 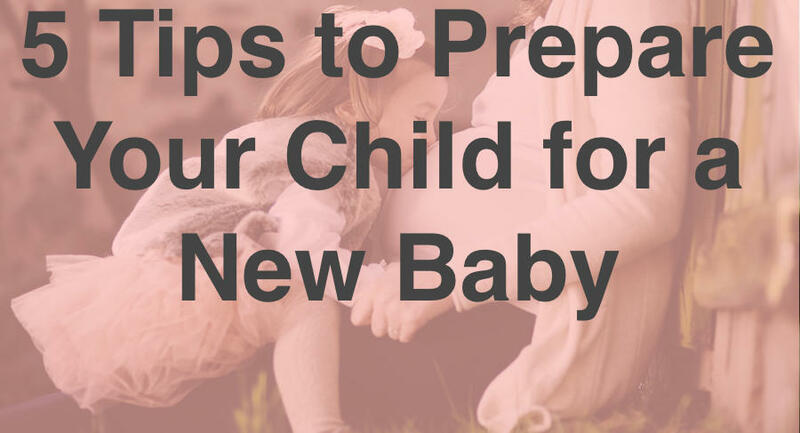 As soon as possible after the baby is born, you should introduce your child to the new baby. As an added gesture of love, you can have a special big brother or big sister present from the baby to your child. If possible, maybe get mom, dad, and all children together alone for some bonding time with their new little family. You can help your child adjust to the new baby at home by involving them with different tasks to help you. This can be something as simple as sitting with you while you’re feeding the baby or grabbing a diaper during changing time. Your child might feel special by contributing help for mommy and the new baby.